HomeAcneIs Acne Scar Removal Possible? Crater Face, Moon Face, Pizza Face, Potholes; do these horrible nicknames sound familiar? Are they names you were, and are called? If so, then you might suffer from “facial acne” in such a way as to cause acne scarring. If this is something you deal with, you realize that it’s not something that goes away, and you may be wondering, is there such a thing as acne scar removal? If so, which is the most effective? Acne Scar Removal: What Causes Acne? 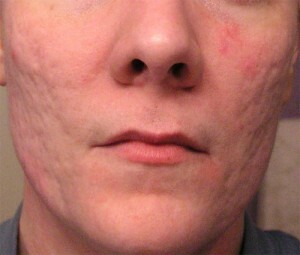 Acne scarring has nothing to do with preventing any of the above conditions. Once you need to address acne scars, you’ve progressed past that point, and the damage is already done. Early identification and aggressive treatment are paramount to preventing the future need of acne scar removal. You’ve heard the phrase, “An ounce of prevention is worth a pound of cure.” That rings very true for acne scarring. 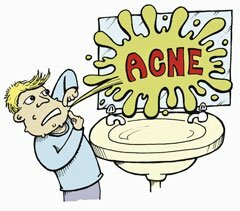 There is a genetic component to it, so it may be inevitable, but the more you do early to combat acne, the less likely scarring will occur. If you notice any of the following blemishes or lesions, take immediate action. These may start small enough, but left unattended can lead to dramatic consequences, including irrevocable scarring. Acne Scar Removal: It’s Too Late, Now What? Which one you choose will depend on your needs, and ability to pay. As always, consult your physician before starting a treatment program. Cortisone and Facial Creams – There are over the counter products that have been shown to be effective acne scar removal treatments. It’s important however to do your homework. Too many facial creams, scrubs, or masks can exacerbate the problem, adding to your discomfort and low self-esteem. Chemical Peels – These are used to exfoliate and chemically remove dead skin cells, and expose vital skin which will promote new skin growth. These “peels” are recommended to treat milder acne. Laser Resurfacing – The modern day equivalent of Dermabrasion, this takes the top layer of skin (the acne scarring area) from the affected area and exposes the middle layer. This exposure to fresh air of the viable skin cells encourages new skin growth. As dead skin cells slough off the body, new ones take their place. It is said by some scientists that humans get a new set of skin about every 54 days. Fractional Laser Therapy – Much like Laser Resurfacing this uses a laser to burn off the affected area. Unlike Laser Resurfacing this acne scar removal treatment takes less time to heal, as it affects the middle layer of dermis and there is much less visible redness. It may be the best Deep Acne Scar Removal available. Acne Skin Filler – Putting putty in the cracks! That’s kind of what this is. 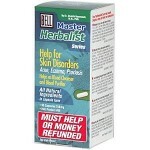 You can buy a skin filler to use as an acne scar treatment. This smooths out and colors the skin to look more like a normal skin surface. The down side being you have to re-apply the treatment about every 4-6 months. This is a “no-no”! It leads to scarring. as well as, repair extreme scarring. 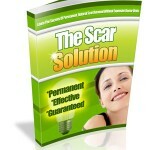 This is a last resort for acne scar removal. Acne scar removal is possible, albeit unlikely that you will fully “remove” the scars. If your early and aggressive methods of prevention are not successful then there are several acne scar removal choices available, with varying degrees of expense, severity, and discomfort. Which of these is Preventative of acne scarring? True or False: You can completely remove all acne scarring. Oh gosh. I can’t imagine getting my face sanded with a hand tool like that. I think it would hurt, both during and after. But I guess you have to ask what price you’ll pay for beauty. My scarring from acne isn’t very much and I’m trying to get rid of it with facial scrubs and taking care of my skin now. I think my first thing to try is some topical cream that helps get rid of scar tissue and the top layers of skin more quickly plus exfoliation. You’re constantly growing more skin right? Get rid of the old stuff and the new stuff should look better. Kale you actually cycle through a complete new set of skin every 52-54 days. Exfoliation and good hygiene are the best defense against common acne. 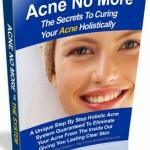 It can require intense efforts to correct some of the more serious acne. Thanks for the comments Kale. The information in this blog is awesome. Hatts Off to the whole team. I got a lot of info regarding the acne treatment. Hats off to you also Snape for the comments.